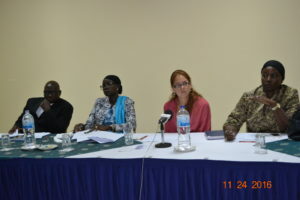 IHRDA yesterday 24 November 2016 organized a workshop to validate a collection of legal resources (laws and court judgments) relevant to sexual and gender-based violence in The Gambia. 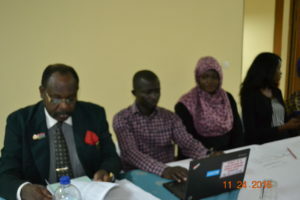 The essence of this activity is to eventually include Gambia on IHRDA’s online database of SGBV legal resources available at http://sgbv.ihrda.org/. 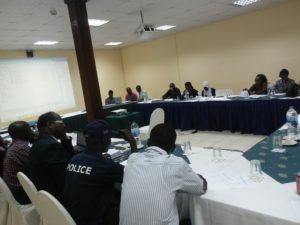 The workshop was attended by judges from The Gambia’s judiciary, as well as legal experts from the Ministry of Justice, other relevant State institutions and the civil society. 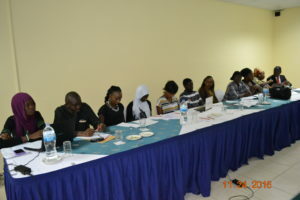 This initiative is part of a project funded by National Endowment for Democracy (NED).